CARICOM Chairman Dr Rt Hon Keith Mitchell says he and other regional leaders will continue to advocate for, and implement sound policies that can help to reverse the effects of climate change. Dr Mitchell says the international community needs to act swiftly and decisively since the region’s survival is dependent on this. Again, he stressed the importance of the international community giving consideration to the vulnerability level of a country, with regard to concessionary financing. 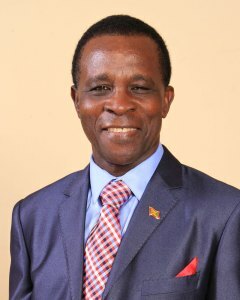 “For years, we, the leaders of CARICOM, have been imploring the international community to revise the criteria for concessionary financing to include a country’s vulnerability level because, as we have seen, and as Grenada experienced during Hurricane Ivan, in less than 24 hours, our Islands can be flattened,” Prime Minister Mitchell said. Government has already pledged $1.4 million dollars to be divided among affected islands, and other efforts are ongoing to assist Dominica and the other islands. Dr Mitchell pointed out that all this is being done even as Grenada faces its own challenges. “On the domestic level, no one sector’s need can be put ahead of the other because it all comes from one pot — Government’s pot,” said the CARICOM chairman.